Bone grafting is a procedure to compensate for bone loss when there is not enough bone for implants or dental restoration solutions. It can be performed as part of your treatment journey when you are preparing for dental implants, and it is performed by a dentist or surgeon experienced in dento-alveolar and perio-plastic reconstructive surgery. Bone grafting means we compensate for the loss of bone mass with the regeneration, or attachment, of new bone. Bone grafting using a conventional technique requires a few months of integration before an implant can be placed. This duration depends on the extent, nature and material of the bone graft and the implants needed. Bone material placed into the maxillary sinuses (sinus elevation or sinus lift), bone that is predominantly from substitute sources, and bone graft of large volumes, can need more months of integration to ensure it is strong for implants. Bone material for the graft can be taken from another area in the jaw (usually from the back of the lower jaw near where wisdom teeth grow, or at the front above the chin) and attached to the deficient area. This is called an “autograft”. Alternatively, bone can be sourced from “allograft” tissue, that is bone derived from human donors, or a substitute bone derived from either synthetic (alloplast) or animal (xenograft) sources. We would recommend what types of bone grafts may be most suited to your case. Bone that is grafted can be in the form of a block, ring, in small pieces, or in a particulate mash. It may involve the placement of a membrane (usually made of collagen) over the grafted material, to guide bone regeneration and to protect it from invasion by the gum. Sometimes, soft tissue (in the form of gum or connective tissue) may also be needed to strengthen and thicken the gum in preparation for, or after, a bone graft, to ensure optimal results for the graft and dental implants. There are methods to avoid or reduce the need for bone grafting in given indications. These methods include bone spreading or bone splitting, that is expanding an area so an implant fits in. At Complete Implants – All On 4 Clinic Perth, we also use short implants that fit in small areas with limited bone height for implants. Dr Misagh Habibi has compiled clinical data on this technique and has supervised a master thesis on his cases, in pre-publication. He has found one particular implant design, under controlled conditions, can create successful implant outcomes without bone grafting. For patients who need an entire set or most of their teeth replaced, the All-on-4 implant method is often an alternative that allows implants to be placed immediately, with immediate cosmetic and functional outcomes, without any need for bone grafting procedures or months of new bone integration/maturation. Dr Misagh Habibi leads All On 4 Clinic Perth, performing dental implants, full teeth replacement and dento-alveolar reconstruction procedures such as bone grafting. 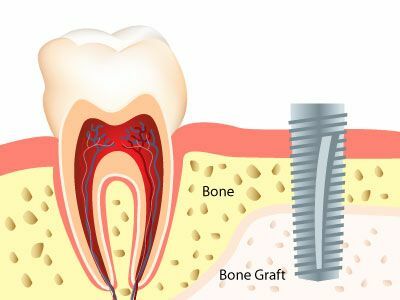 If you have been recommended a bone grafting procedure, book an appointment at All On 4 Clinic Perth to discuss bone grafting options and to see if you are suitable for an alternative method.